The Big Library Read is on again, February 17th – March 5th, 2014. The Big Library Read is the worldwide digital version of a local book club, where unlimited copies of the e-book version of Keys to the Kitchen will be available to download from Sutherland Library Service Overdrive from Monday 17th February until Wednesday, 5th March. 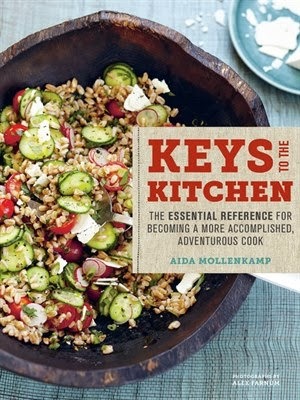 Food Network and Cooking Channel star Aida Mollenkamp lays an invaluable foundation for cooks in Keys to the Kitchen. This comprehensive manual collects more than 300 innovative, contemporary recipes as well as color photographs, plenty of informative illustrations, a substantial technique primer, and helpful how-to information on subjects as wide-ranging as rust removal, throwing a cocktail party, and knife skills. For members of the tech-savvy new generation who can’t cook but want to, this essential reference guide makes an ideal starting place and for those already at ease in the kitchen it’s full of “who knew” moments for expanding their repertoire of great recipes. If you love cooking, you may be interested in joining the Cronulla recipe club, held the 1st Thursday of each month at 2.00pm. The next meeting on Thursday 6th March. 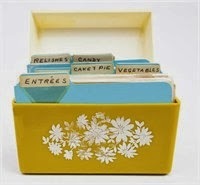 The theme for for the March meeting is diabetic cooking. For further information, please call Cronulla Library 95234980.